Happy Monday ya’ll! 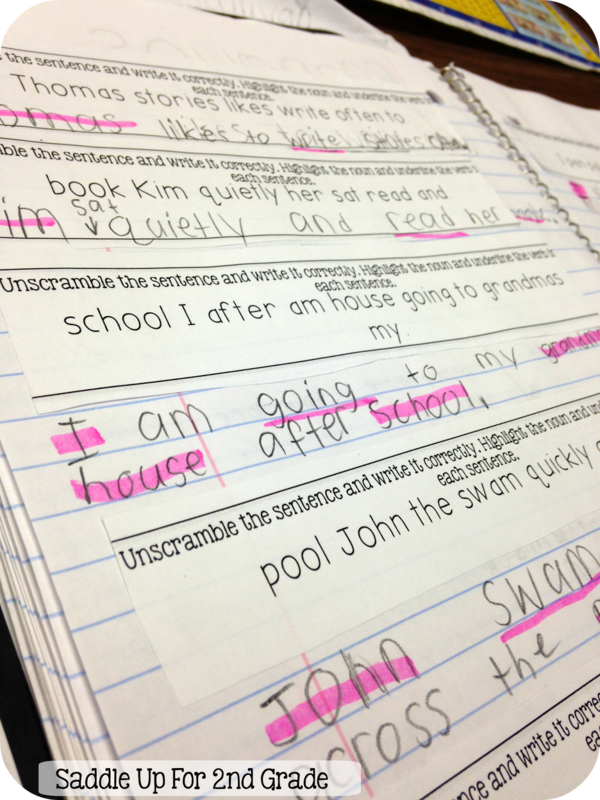 We are reviewing the parts of speech that we’ve learned so far this year and this week is all about verbs! I’m trying to cover some ground by reviewing multiple concepts at once. 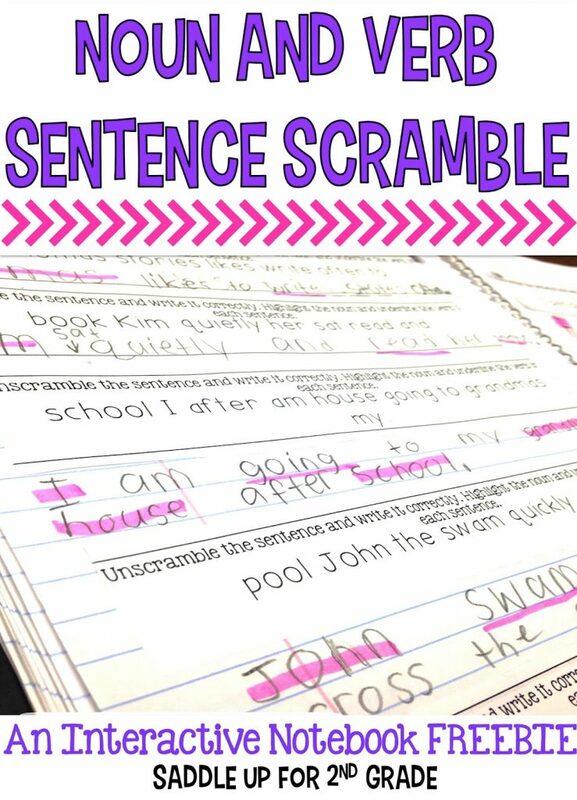 Today we did this sentence unscramble while searching for nouns and verbs in a sentence. 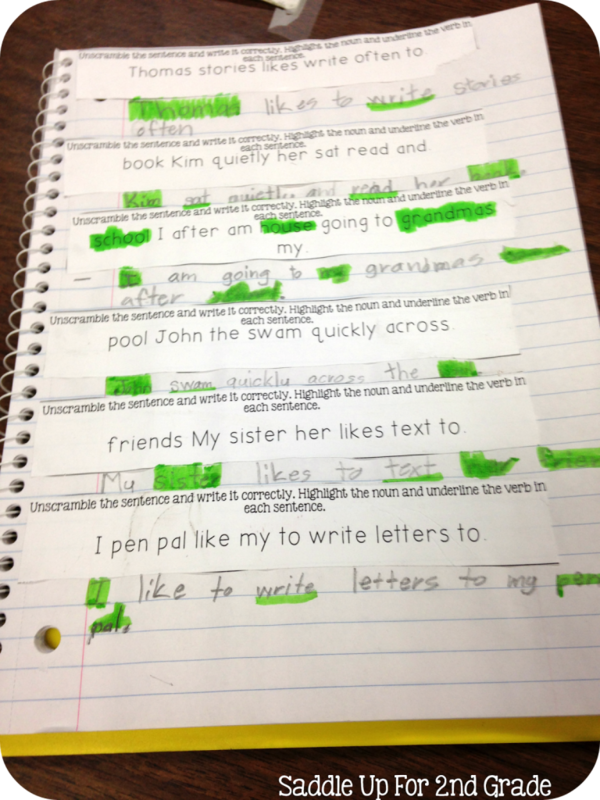 Once they unscrambled the sentence, they highlighted the nouns and underlined the verbs found in each sentence. 2nd graders LOVE stuff like this! It was a big deal to see who could figure out the correct sentence first. 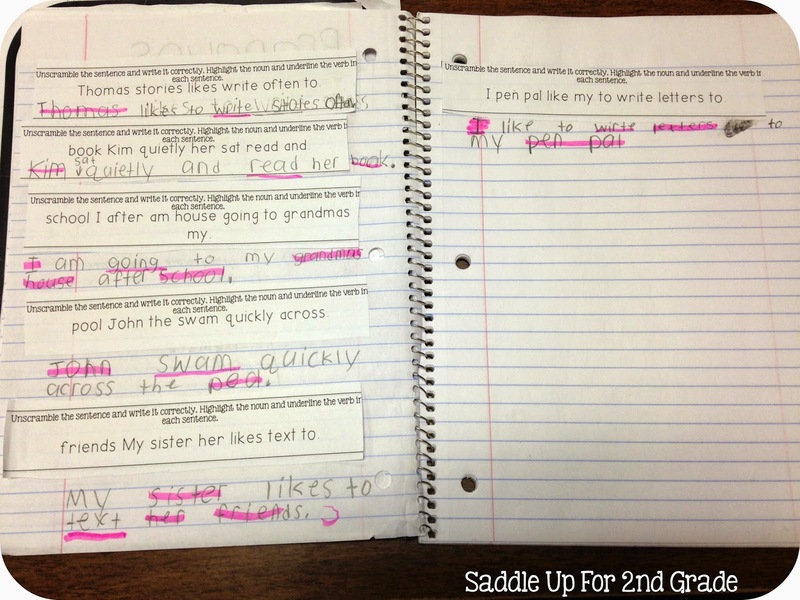 Then add highlighters on top of all that, they’ll be having fun and learning all at the same time! Isn’t that what school is really about?!? You can grab this journal prompt as a FREEBIE here! 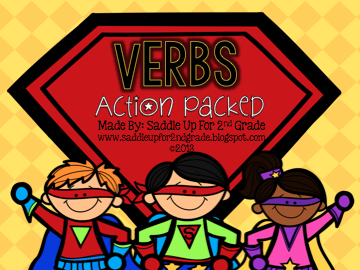 I’ve also added it to my Verbs: Action Packed Unit along with another activity that we’ll be using later this week. If you own it already, go redownload to get the updates! If you’re looking for some other great ELA ideas, check out my ELA Pinterest board.